Plantronics Voyager 3200 Diamond Black Headset is one of the best audio devices that offer the most innovative solution and comfort, whether it is in a professional aspect or for entertainment purposes. It sports a sleek and discreet design, which makes it perfect for office set-up and can be incredibly trendy to look at. This device has been structured to be used on-the-go, which is perfect for the kind of workers that dominate the workforce today. 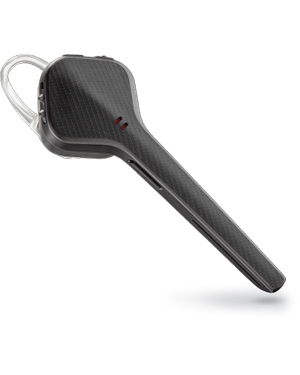 Plantronics Voyager 3200 Diamond Black Headset has three sized of silicon eartips, which offers users the choice of using the one most comfortable for them. This choice ensures that all types of users can be catered with the most comfortable eartips. Of course, it provides users with premium sound quality through the collaborative efforts of noise-cancelling technology and precisely tuned microphones. It also uses wideband audio quality, producing crystal clear sound. Do you want more information about this headset? Dial Australia wide 1300 131 133 and talk to us. Plantronics has become popular in different industries in the global market, including contact centres and professional set-ups, from home offices, small and mid-sized offices, and large companies. Plantronics is a consumer electronics industry frontrunner that was established in the year 1961. Headed by CEO and President Joe Burton, the company operates in the global market through its major headquarters located in Santa Cruz, California. This enterprise offers wide selection of products, including consumer and business audio products and corded, wireless, and Bluetooth headsets. Supported by approximately 5,000 employed experts worldwide, Plantronics operates in over 80 countries all over the world with the assistance of many distributors, original equipment manufacturers, wireless carriers, phone and service providers, and retailers. This is how the company excellently distributes products and solutions through several reliable distribution channels in Asia Pacific region, Europe, and North America. Its production and manufacture floors though are located in Mexico and China. Headsetsonline Pty Ltd is an Australia-owned and –operated enterprise recognised to be an expert in delivering headsets and other audio needs to government and corporate sectors. Since the company is a former division of a popular enterprise that did exactly that, it has become the successor of the company and has tailored its operations from there. This is how the company is able to provide high quality service that is second to none. Headsetsonline is an online store that operates through a secured and enterprise-encrypted site, Headsetsonline.com.au. The site uses a green URL address bar HTTPS with GeoTrust True Business ID with Extended Validation that ensures that all information used in the site is protected. It is integrated with 2048-bit root encryption and 256-bit identity authentication, which are the same security measures that banks use for their log-ins. Through this, customers can be protected from outside threats of identity theft and phishing.